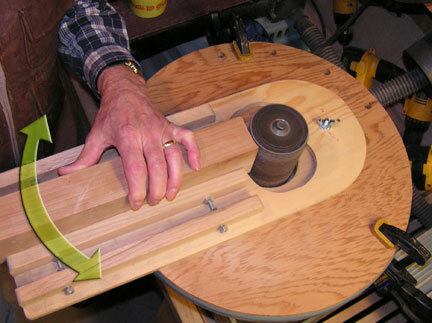 I typically use an oscillating sander for much of my shaping work. I have a jig that I attach to the top of the sander. I set the fulcrum screw for the diameter of the rim, center the neck blank in the neck slot and rotate the heel of the neck against the sanding drum to shape the heel fit to the desired rim size.